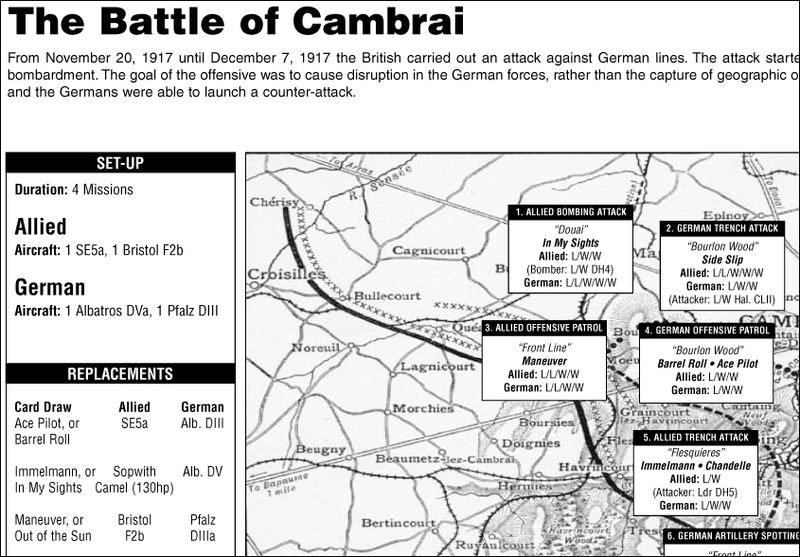 This addition to Down In Flames WWI really expands the game both tactically and strategically! We have included 21 new Allied and German fighters, scouts, and bombers. You must own Down In Flames - WWI to use this expansion. Also included are 6 historical campaigns that allow you to create pilots, fly missions, and earn skills. 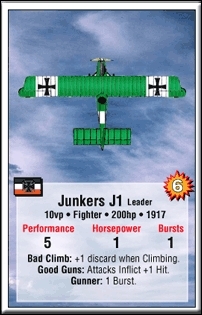 The game includes a selection of German, French, British, and American ace pilot counters that can be used in dogfights, or as part of the campaigns. 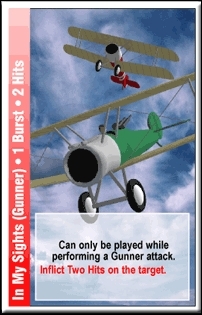 We have also include several new Action cards that depict the special maneuvers that happen when fighters engage bombers in combat. The fast-paced feel of air combat. This is a great casual game. If you have 20 minutes, you can sit down and fly an exciting mission as you zoom and soar through the blue skies of WWI.